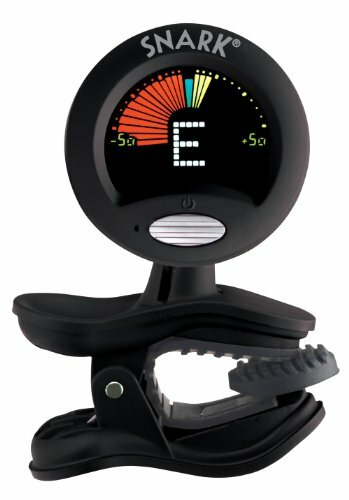 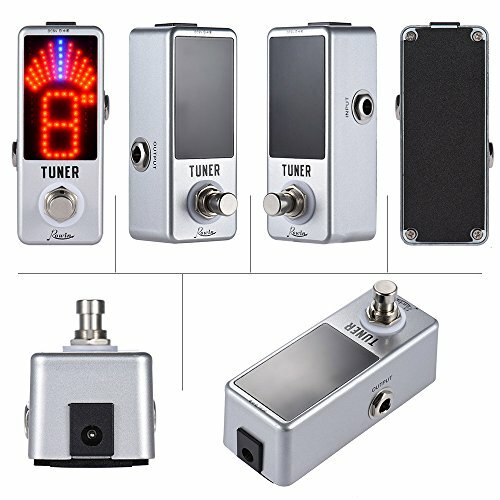 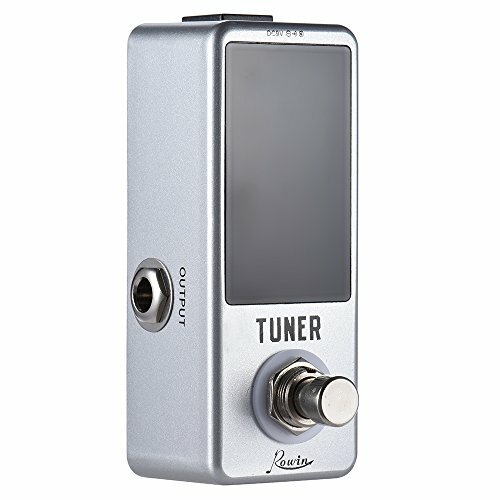 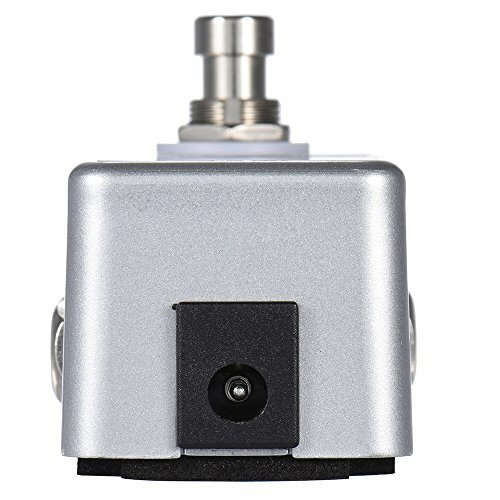 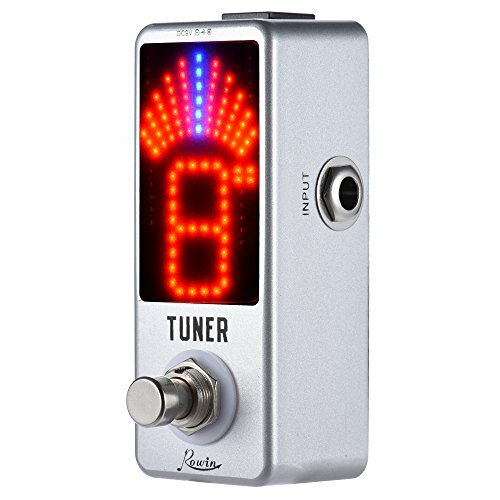 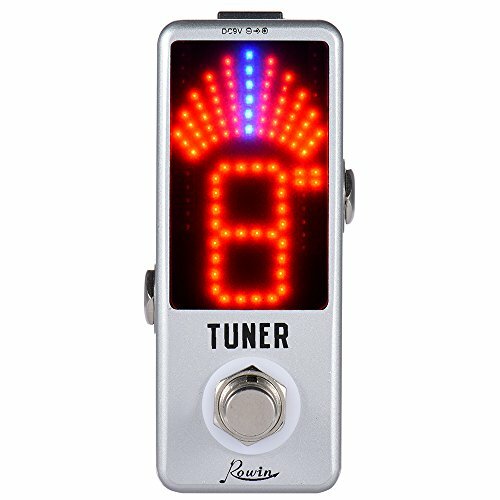 Chromatic tuner pedal for electric, acoustic guitar and bass. 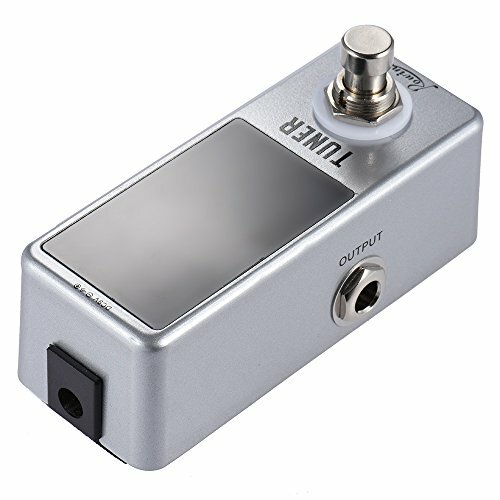 True bypass circuitry allows the signal going straight from the IN to the OUT. 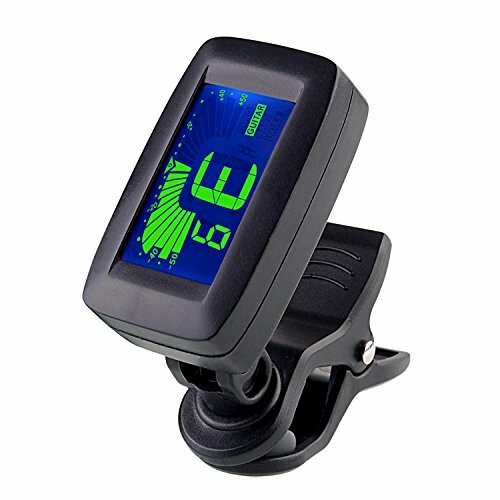 Bright LED display for reading the tuning information easily. 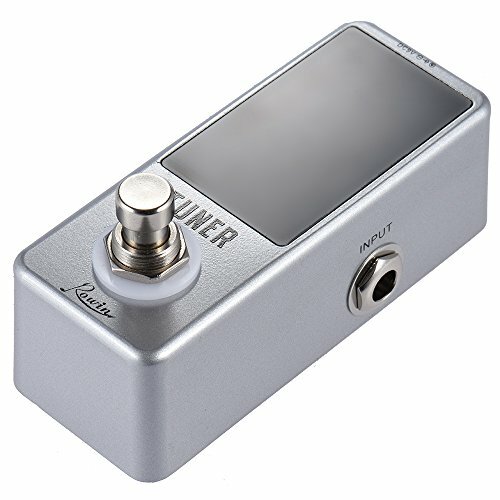 The power adapter is not included. 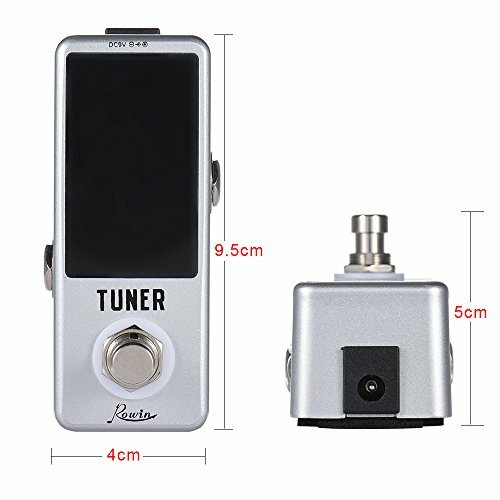 Mini size and metal case, very durable and easy to store. 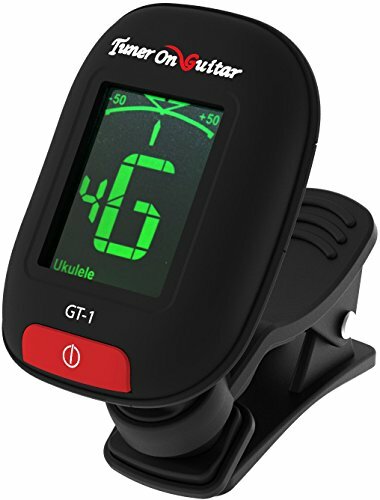 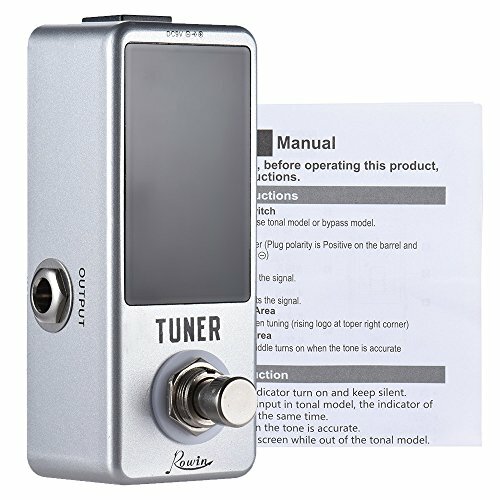 Tuner On Guitar Clip-On Tuner for Guitars, Ukulele, Bass, Violin, Mandolin, Banjo, Chromatic, 360 Degree Rotating, Electric & Acoustic, Fast & Accurate, Easy to Use, Auto Power Off, Battery Included.